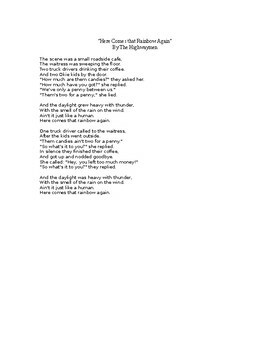 After reading chapter 15 in Grapes of Wrath, have the students listen to The Highwayman song. The song is not included, but the lyrics are. 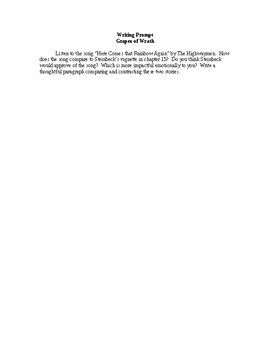 Then the students write a paragraph comparing the two depictions of the same scene.